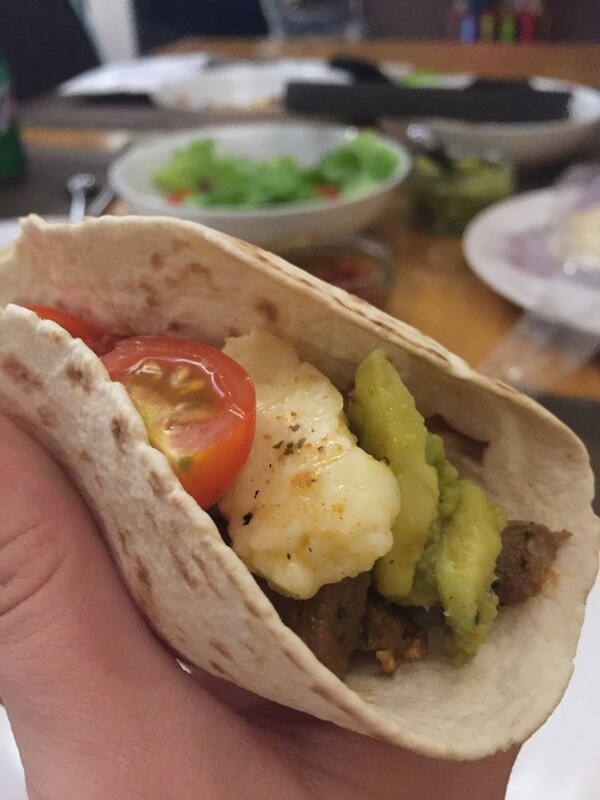 10 soft mini flour tortillas. 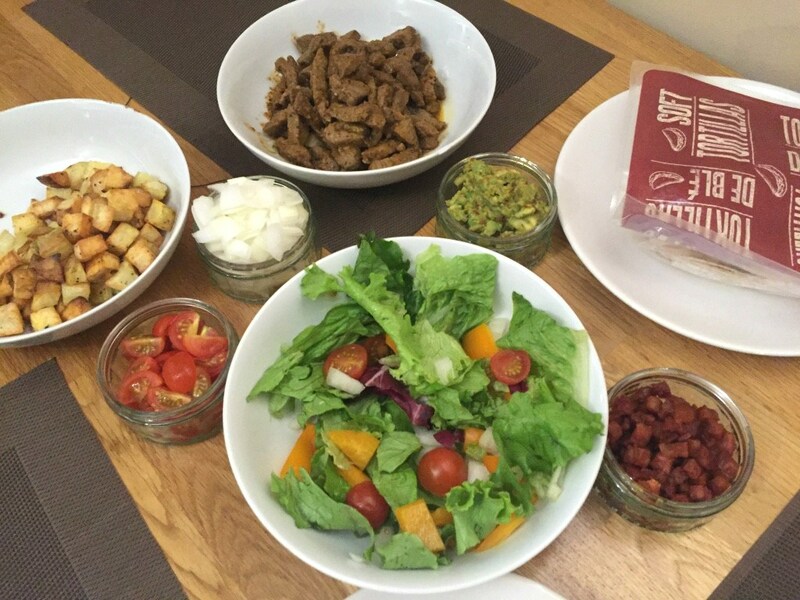 Let me show you how simple it really is to put together and I can't stress how yummy it really is! 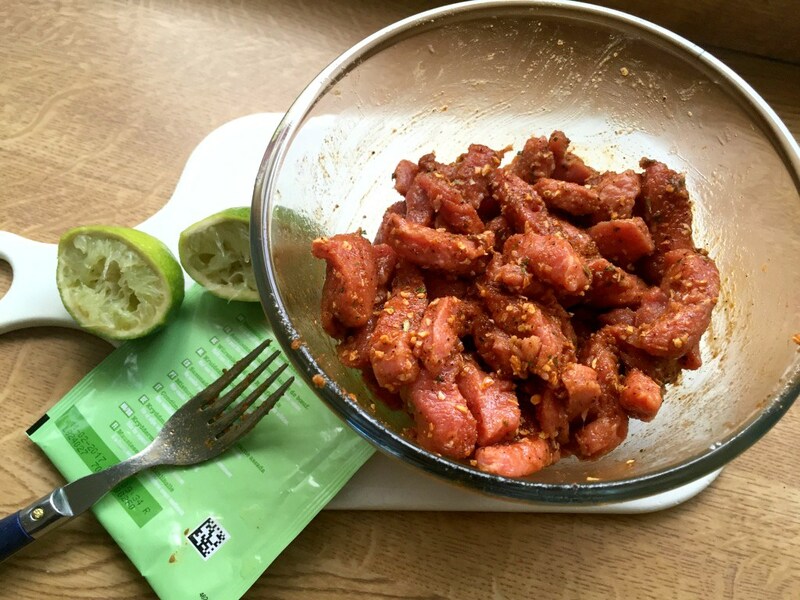 First of all, you will need to marinate the steak, so mix the water, 2 tbsp vegetable oil, the lime juice and the Carne Asada Steak Seasoning in a bowl. Now here I messed up, it said to add the steak whole and marinate but I only got a sliced steak so I added that and allowed it to marinate. 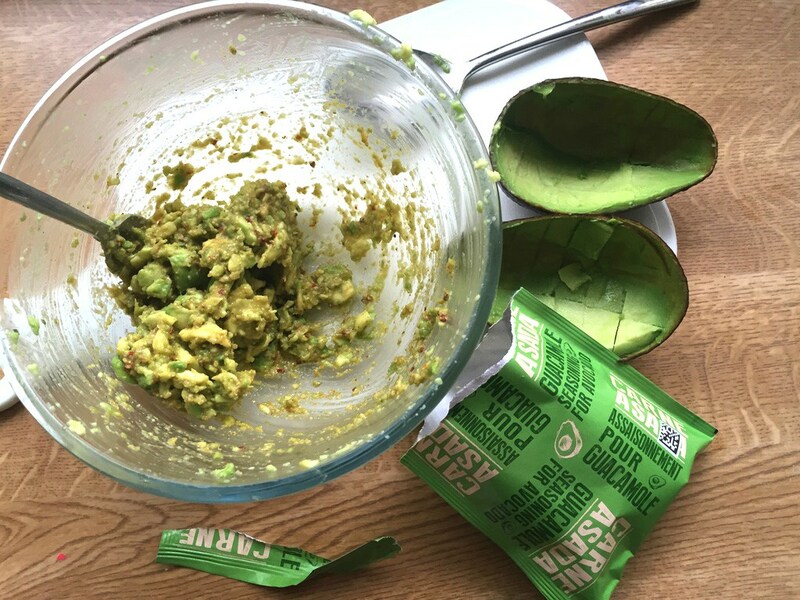 Next, you will need to prepare the guacamole to do this half the avocado and remove the stone and scoop into a bowl, (I find this easiest if you do long slits along the avocado so that it loosens it from the skin), and mash with a fork. Add the Guacamole Seasoning and keep mixing until well combined. Now to cook the steak! Heat 1 tbsp vegetable oil in a large frying pan over medium/high heat and add steak. It was now that I chopped up some onion, and plum tomatoes. I also did some halloumi cheese and salad to go with it. One of the last things to do is to warm the tortillas, I just used the microwave for this but you can use a pan as well. To microwave, poke some holes in the packaging and place the whole pack in the microwave. Heat for around 35-40 seconds on full power. 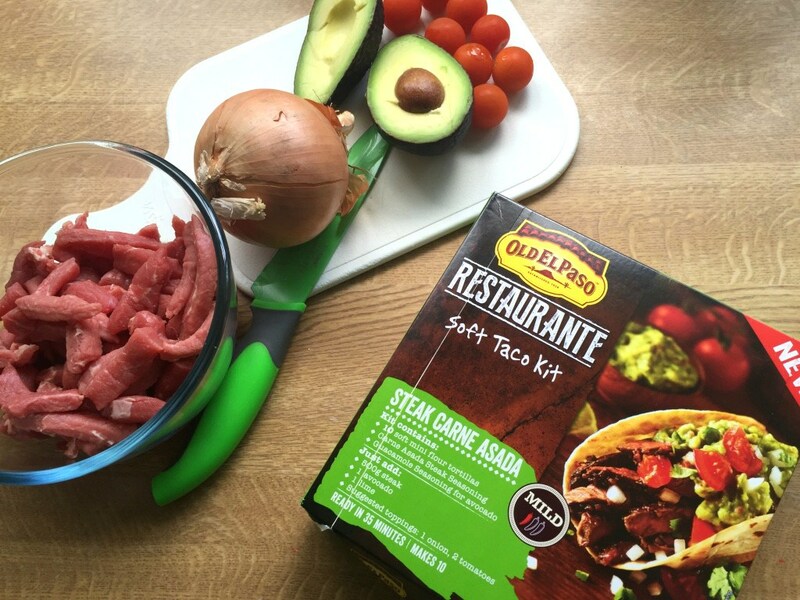 Open the pack, separate the tortillas and keep them covered until ready to serve. Now sit down with your family and enjoy! :) We definitely did! 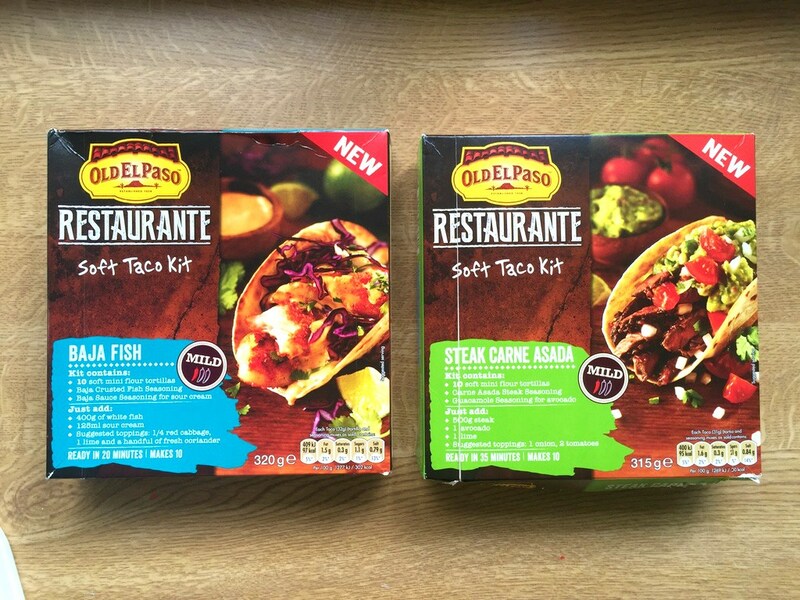 Old El Paso has also joined up with Master Chef Winner, Kimberley Wyatt, to show you how to cook the Baja Fish Soft Taco Kit as well, so I have added that below for you! 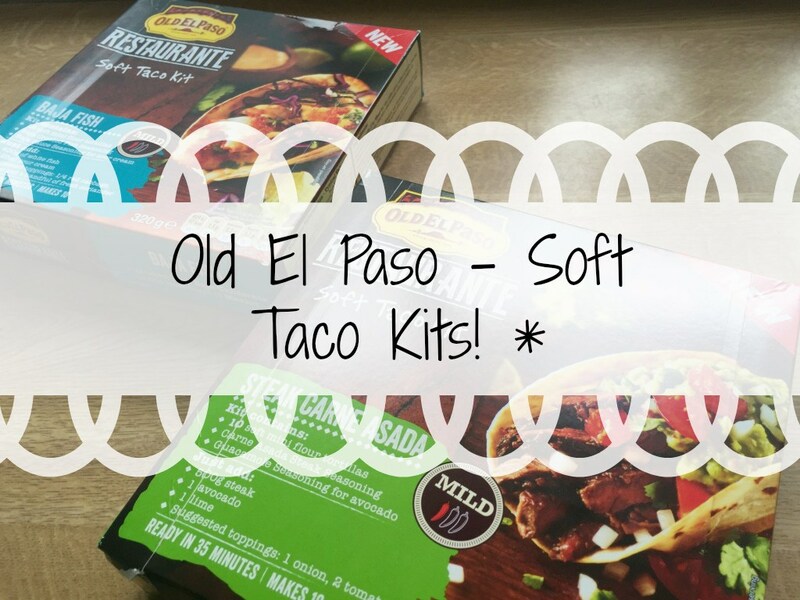 Have you tried any of the Old El Paso products before? Do you have a favourite? I would love to find out what is your favourite flavours! ?